On your next visit, keep your eyes peeled for 16 life-size metal animals, including giraffe, elephants, lions and more, scattered around Zoo grounds. These sculptures were all made from recycled materials by a group of 19 young artists in Nairobi, Kenya. 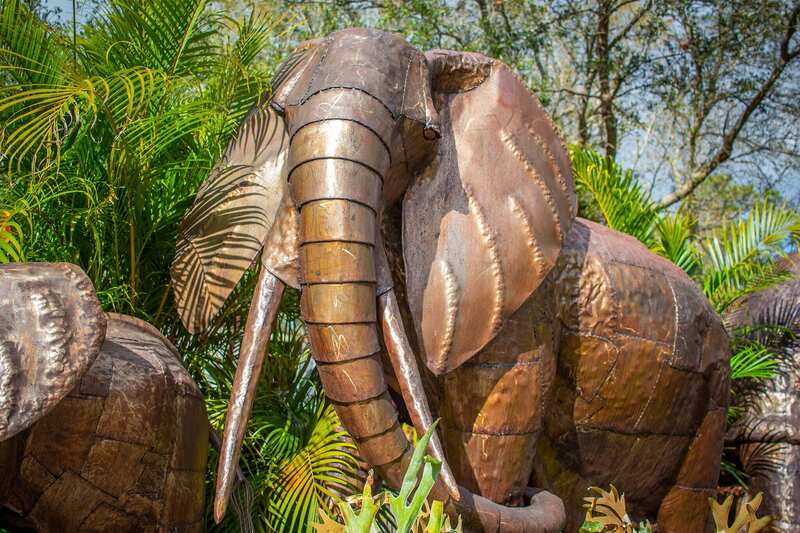 The artists, called Ark Collective, were recruited from disadvantaged, impoverished backgrounds and given the opportunity to learn valuable skills such as design, metal cutting and welding—all of which were used to create the sculptures now housed at the Zoo! Click here for a checklist of the sculptures. Sculpture Safari is included with Zoo admission. These sculptures were generously stored and transported by Brand Transfer & Storage.